This is what happens when your father loves golf and soft-boiled eggs. April 22, 2016 was his 70th birthday. In addition to flying home from school to surprise him, I decided I wanted to make him something completely unique with my new skills in the woodshop. Considering my newfound love for the lathe, I decided the gift would involve some sort of turning. 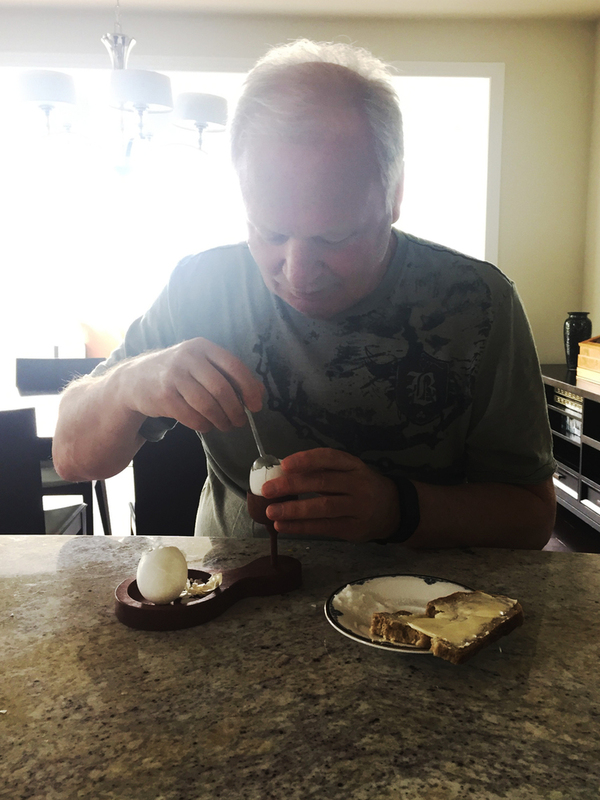 After brainstorming a number of different turned products along with his interests, the golf egg holder was born. I'm quite satisfied with the final product, and he was too!